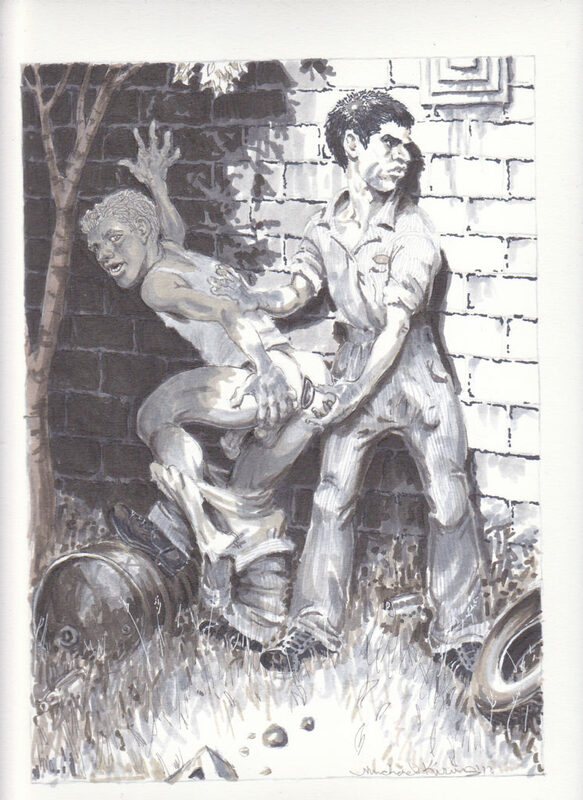 I just posted a story from my 2011 Lambda-Award nominated story collection Backwoods. It’s called The Opera House (read it here) and it’s about two young auto mechanics enjoying and occasionally despising one another. That’s them above, as depicted by the recently-late, frequently-great illustrator Michael Kirwan. I wrote a little remembrance of Michael on my Tumblr the other day, check it out here. Anyway, the story is one of my favorites from that book; hope you like it, too!